Reliable Satellite-Maxi Actuators | Venture Mfg. Co.
For years the Venture “Maxi” has been the staple of the Home Satellite TVRO Industry. With over 1 million produced we still provide the industry with these reliable actuators for service and new installation needs. The maxi acme screw actuators are widely used in a number of applications in several industries. These satellite actuators are precision manufactured and specially designed to withstand different hostile conditions. Along with the capability of surviving the harshest conditions, these satellite actuators are capable of delivering the best output, thus improving the overall performance of the equipment that they are used with. 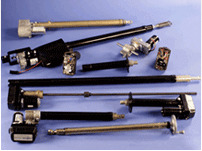 There are a number of companies that manufacture and supply these actuators, but Venture Mfg. Co. stands tall among them all. We have a vast experience in providing high-quality maxi acme screw actuators. These actuators that we provide are capable of delivering unmatched performance and service. This makes them highly reliable and the most preferred among the other types of actuators. Beneficial Features of the Maxi Acme Screw Actuators Provided by Venture Mfg. Co. There are countless features of the maxi acme screw actuators, which make them popular in a variety of applications and industries. The plated inner tube and the outer tube are black E-coated. This provides ultimate protection to the tubes from corrosion. The split clamp assembly for ½” bolt mounting of the satellite maxi actuators is very easy to install and does not take much time. 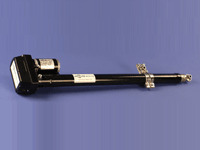 These actuators feature steel tube assembly, which has a high strength. 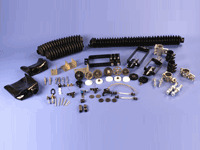 This assembly comes with all-steel load support members. The satellite maxi actuators also feature limit switches for single screw adjustment. The 30% duty cycle motor ratings of these actuators, is one of the major reasons of their increasing popularity. Effective freeze protection is provided by the vent throughout and water drains that come with these actuators. High quality acme screw or long life ball screw actuation is one of the most striking features of these actuators. These actuators feature a pilot guide, which helps prevent scraping and binding. The maxi acme screw actuators feature Super Sensor II reed switch. The satellite maxi actuators can be effectively interchanged with all the other actuators available in the field. The ½” bolt mounting is very easy, thanks to the built in standoffs and forged steel end mount design with swivel. 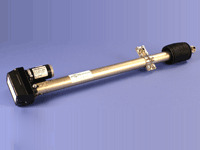 The rugged steel tube construction makes these actuators capable of surviving harsh environments. The compact design of these satellite maxi actuators makes it easy to install, as well as user friendly. Another important beneficial feature of the maxi acme screw actuators is that they are KU or C band compatible. 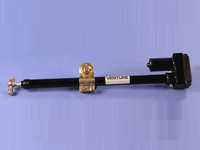 The Home Satellite TVRO (Television receive-only) industry has been using the Venture Maxi actuators for several years now. We not only have the most advanced and highest quality manufacturing facilities, but also a team of expert engineers. This has helped us satisfy the service and installation requirements of maxi screw actuators for a vast range of industries. Venture Mfg. Co. is the name you can trust for buying satellite maxi actuators. We have good quality actuators that will suit all your application requirements. Along with the maxi acme screw actuators, we also stock C-band satellite dish actuator, and Venture Maxi 810-24K actuator jack. 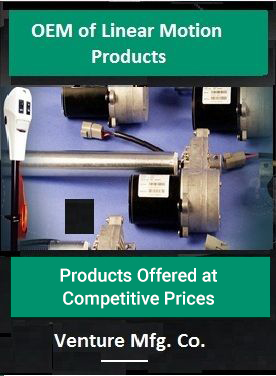 When you buy actuators from us, you can rest assured that you are buying the best quality products. We are very keen to provide the best-in-class actuators and prompt service.